Choose the 8-day Luxury Tanzania Fly-in Safari package. During your trip, expect to explore iconic destinations in northern Tanzania. Visit the Ngorongoro Crater, Tanzania's wildlife haven, and enjoy hours of discovering the animal and birdlife of the Serengeti which is arguably the best safari destination in the world. Flying to popular destinations will allow for less time used up for travelling and more time spent on safari enjoying the delights that Tanzania has to offer. Your luxurious Tanzania fly-in safari starts in Arusha, the entry point for safaris in northern Tanzania. After landing at Kilimanjaro International Airport, a travel representative will meet you and transfer you to your chosen accommodation in Arusha. Relax and spend the rest of day at leisure, enjoying the offerings of the lodge or explore the lively markets of Arusha. 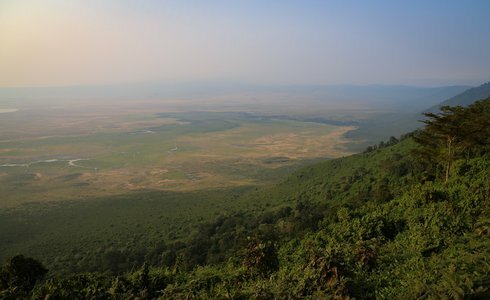 After a breakfast, travel to Arusha Airport to take the short flight to Lake Manyara airstrip before being transferred to the Ngorongoro Crater. This famous crater is the world's largest intact collapsed volcano. It is a wilderness paradise, sporting abundant wildlife. 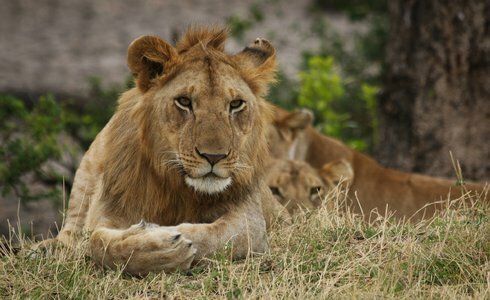 Our Tanzania fly-in safari tour includes a descent to the base of the crater, home to over 25 000 large animals. It is not rare to see big cats and elephants within minutes. Enjoy the multitude of colours, patterns of pink flamingos, spotted cheetah and striped zebra. Watch antelope grazing, elephant blowing clouds of dust and predators stalking. After two incredible nights in the Ngorongoro Crater, board a charter plane for a short trip to the Serengeti National Park. 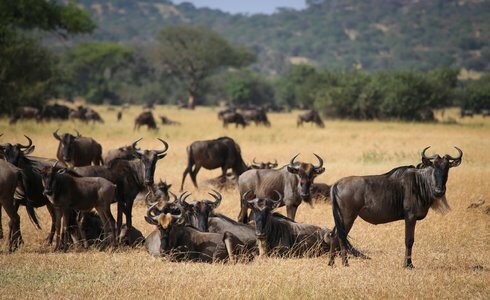 The Serengeti is the icon of safaris and is arguably the the best safari destination in Africa. It is also home to the Great Migration and will be your home for the next three nights. The location of your accommodation will depend on the season of your visit. Our travel experts are familiar with the seasonal movement of wildlife within the Serengeti, and location is key to having a fantastic experience. Enjoy daily game drives, sundowners in the bush and watch the stars after nightfall. After breakfast, enjoy your last few hours in the Serengeti. Depart for the airstrip fly back to Arusha (most likely seeing Mount Kilimanjaro from the air) where you will continue with your onward journey.